YSS Chennai Retreat is a spiritual oasis for YSS-SRF members to drink deep, recharge body, mind and soul. 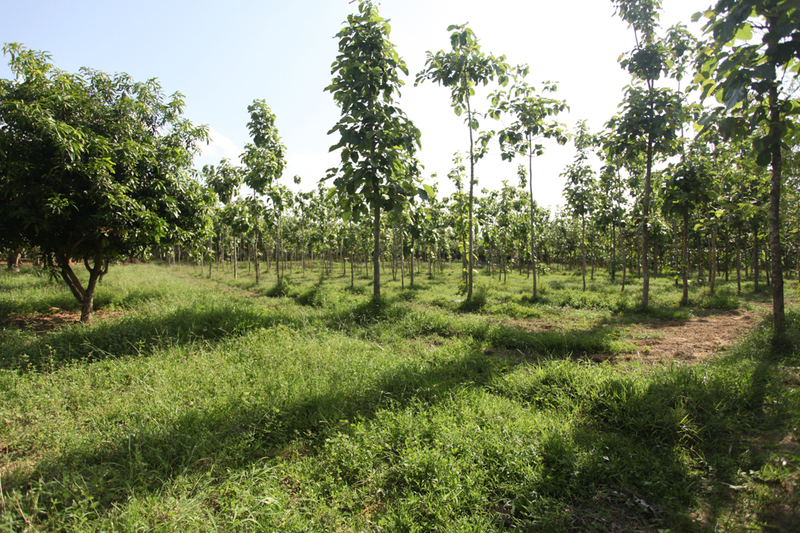 Situated about 20km from the Chennai metro area, the retreat is set on 17 acres of lush farmland with a plethora of organically-cultivated fruits and vegetables. The retreat is surrounded by a reserve forest and a lake, offering a serene, tranquil environment conducive to meditation and contemplation. The relatively isolated locale, ensconced in nature, makes the Retreat a veritable ‘temple of silence’. The retreat has an abundant supply of fresh water and air, and a permeating aura of peace where one can go deep into the inner stillness. This verdant retreat has various seasonal (watermelon, mango, pomegranate) and other fruit-bearing trees (banana, lemon). The grounds abound with various flower-bearing plants attracting various adorable winged creatures. A balanced vegetarian diet is served to retreatants using locally-grown fruits and vegetables. A separate kitchen block with staff serves the needs of the retreatants with meals served at regular hours. Fresh milk is provided to the retreatants by our cows. Devotees with specific dietary needs are urged to visit the retreat once their constitution improves. 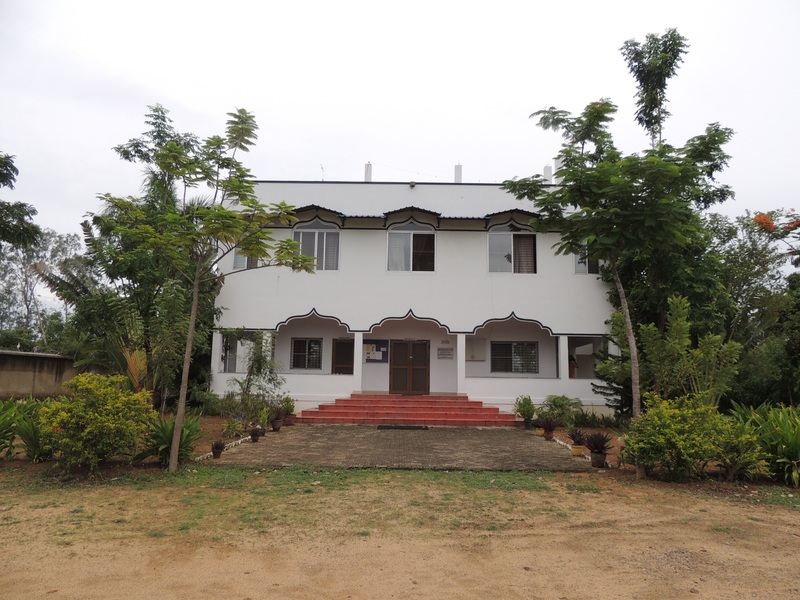 The retreat has robust infrastructure suitable for both individual and conducted retreats. Separate dormitory-style blocks for men and women to stay are available. A limited number of private rooms are available on request. Ample fresh water and reserve power supply ensure uninterrupted supply of necessities and running of critical appliances. Limited air-conditioning is available during the summer months for a comfortable stay. The grounds and gardens are maintained by a team of dedicated volunteers and staff. The retreat office also has a bookstore which carries select copies of YSS publications (both in English and Tamil) for sale. The Retreat has a dedicated meditation hall suited for both group and individual meditations. 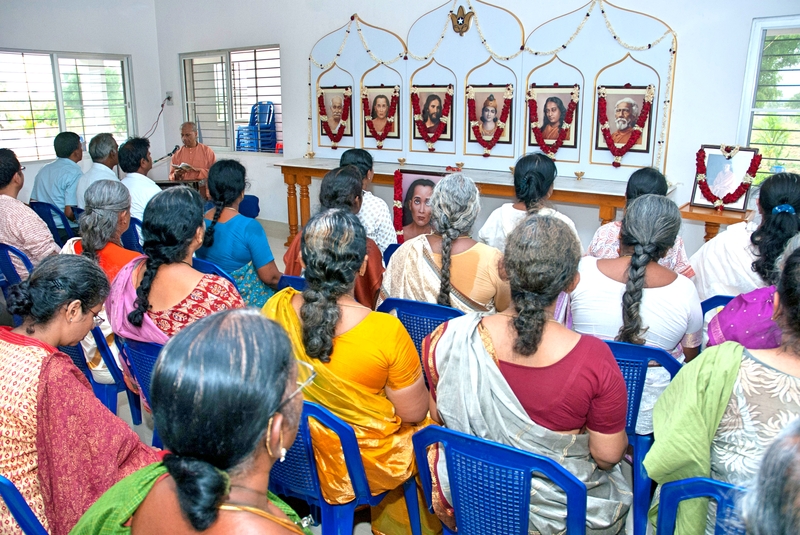 During conducted retreats there are scheduled meditations. At other times, the hall is open from early morning till evening for the exclusive use of individual retreatants for their meditations. Conducted, group meditations occur every month on a fixed schedule and can be arranged on request. Enquire with the retreat coordinator for further details. The Retreat has an emergency vehicle in case devotees need urgent medical care. 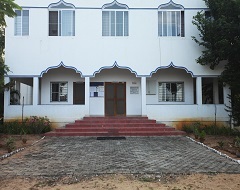 The nearest medical center is in Sriperumbudur town about 7km away. However, we urge devotees with fragile health to postpone their stay until their health improves. At night, the premises have adequate solar-power lighting and are secured by the staff. Two trained, friendly dogs maintain a vigil over the Retreat premises. Weather is tropical and sunny most year round. It can get hot during the summer months (April-June) and devotees should keep hydrated. The monsoons are usually during July-August and October-November. The retreat is sustained only through loving contributions from generous devotees and well-wishers like yourself. 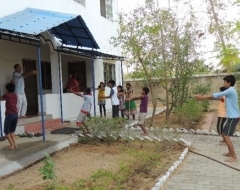 Your donations by cheque (payable to “Yogoda Satsanga Society of India”) may be sent to our Chennai Kendra at 14, Rajarathinam Street, Omkar Apartments, Chennai – 600010, specifying the purpose of Donation (Memo: “for YSS Chennai Retreat”). Do contact the retreat coordinator (phone number given above) if you need any clarifications. You may also make the donations via bank transfer. Contributions are eligible for tax exemption under Section 80G Income Tax Act.